Hello fellow Booklovers!! and Good day to you. 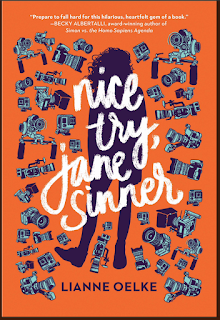 I am back with a brand new book called NiceTry Jane Sinner which came out on Jan 9th, 2018. I received an Arc a while back from HMH Teen for review purposes. I am sorry I am up late with this review these past couples of months have been bad in my personal life. 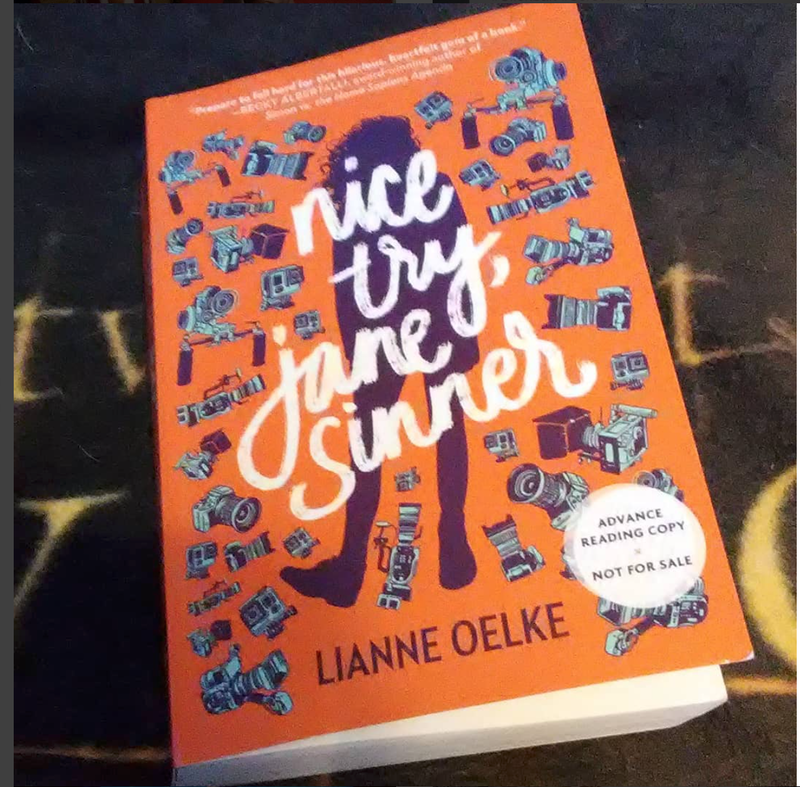 So huge thank you to HMH Teen and Lianne Oelke for this Arc. I will be buying the actual book soon because I love the arc so much. Now onto the summary and my final thoughts. 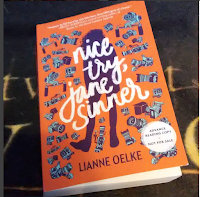 This book is about Jane Sinner who has recently had a mental health flare up and is now trying to put her life back together. Jane was the good Christian girl next door, trying to follow everyone rules about life and trying to be perfect. Until one day while in Church, she decides she can't take it anymore, so she precedes to try to kill herself, but luckily for her, it doesn't work. She wakes up in the hospital a few days later with everyone still trying to tell her what to do but instead this time tipped toeing around her. So now Jane is trying to find a way to put her life back together by finishing high school at the community college and going on a local reality show. Along the way, Jane finds answers and more questions about this thing we call life. This book is an amazing read for anyone who has mental health issues, I would suggest you find a way to read it. Now onto my final thoughts of this book. I rated this book a four out of five stars. My favorite thing about this book was the mental health aspect discuss throughout the book. How Jane comes to understand her own mental health better and why she is affected by the real world so. The thing that did bug me about the book was the people around Jane. In one scene you have Jane Parents preaching that she needs more God and more meds in her life, in another scene you have them coming to comfort her after a mental health flare up.In my opinion, this generally doesn't happen in real life. People who feel like God, and meds are the cure for everything, generally, don't comfort you during days of Instability. From what I've experienced first hand with my own mental health, these types of people are generally the ones who want nothing to do with those who have mental health issues because they figure the meds and god will help that person be normal, or what they believe to be normal. Reading this book was such an important thing to me because I want more books like this, that help people to see the thoughts of a person with Mental health. Now while I believe the People in Jane's life can be unreal, I do believe that Jane very much represents those of us like me who deal with Mental Health on a daily base and doesn't always know how to handle it our self. I love the way Jane question things because that is what people do when dealing with Mental health. I love how she uses humor too because that is something people use when they feel uncomfortable about there own mental health problems. Also in this book, Jane doesn't want to use meds which I think can be commendable, because Meds are a very tricky thing in mental health. Overall I love this book, and how Jane was portrayed. Lianne did an amazing job of describing the mind of a person with mental health. I want more books like this in the world. I also believe if you are dealing with mental health or know of someone dealing with mental health please read this book. As always all of the links for the book, author, and my social media will be down below. Please like, follow and sub, Until next time peoples.